Free shipping. Buy direct from HP. 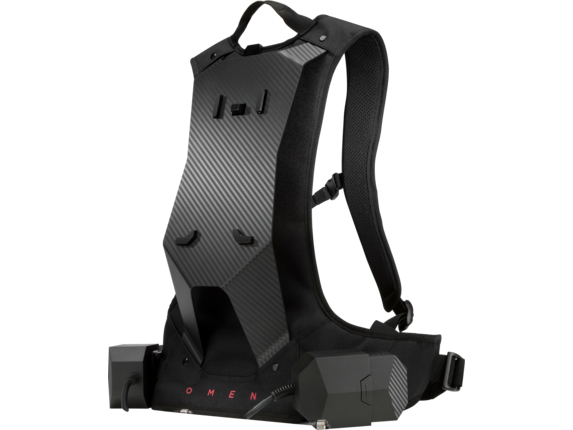 See customer reviews and comparisons for the OMEN X Desktop VR Backpack - PA1000-000. Upgrades and savings on select products. This is immersion taken to a whole new level. Strap your OMEN X Compact Desktop into the VR Backpack for uninterrupted, seamless gaming. Untether from your desk, roam freely, and step into the future of virtual reality. Easily swap batteries mid-game without removing the backpack or interrupting your flow thanks to two waist-mounted battery holsters and a third battery inside the PC. With the PC strapped onto your back, you’re free to roam and take on new worlds in virtual reality. A charging dock and two pairs of batteries with up to one hour of battery life each enable you to use one pair while fast charging the other for extended VR gaming sessions. 1 Free roaming capabilities subject to boundaries of compatible VR/MR headsets. 2 Actual battery life will vary with use and environmental conditions, and will naturally decrease with time and usage. Virtual reality has turned the gaming world on its head. Are you keeping up? HP®’s backpack VR computer is designed to make your VR setup as immersive as possible, so you can untether from reality and dive into an entirely new world. With the HP OMEN X VR backpack, you can interact with complex simulations for a richer experience than you’ve ever known. Insert the HP OMEN X desktop into the lightweight HP OMEN X VR backpack for interactive gaming anywhere, any time. Our backpack VR computer is designed for seamless gaming. Work at your desk or roam new virtual landscapes with powerful graphics and processing attached to your back. The design of the HP OMEN X VR backpack makes it quick and simple to swap batteries, even in the middle of the most intense sequences. Waist-mounted battery holsters and an internal PC battery mean power is always at your fingertips. Fast-charge one battery while using the other for uninterrupted play, and use the charging dock to power up your PC for endless game time. The lightweight backpack VR computer makes it easy to experience new virtual reality environments. 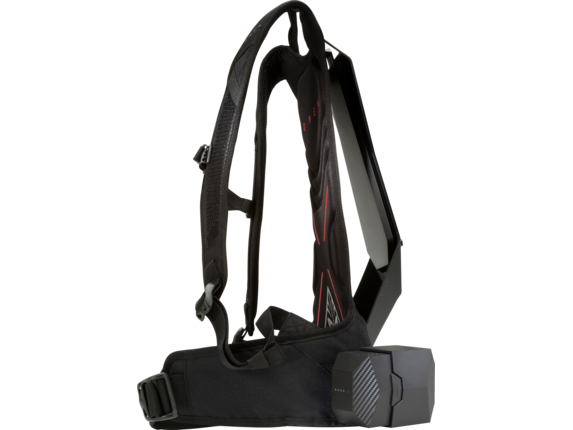 Weighing in at less than 8 lbs and measuring 21.28 x 14.72 x 8.74 inches, this backpack is designed to keep you light on your feet and comfortable as you explore new VR terrains. As the first professional wearable VR PC, this backpack VR computer is pushing the boundaries on VR gaming, training, and innovation. Tailor your experience with unmatched upgrades. Pair it with your preferred VR head-mounted display, whether that be the HTC Vive BE or HP Windows Mixed Reality Headset. With a variety of gaming accessories available, you can see, feel, and hear awe-inspiring environments with more clarity than ever before. Transition between desktop and wearable virtual reality with ease, and take your experience to new heights with the HP OMEN X VR backpack.